He was tiny but tough, a warrior who battled against the odds and touched many people around the country through the camera lens. 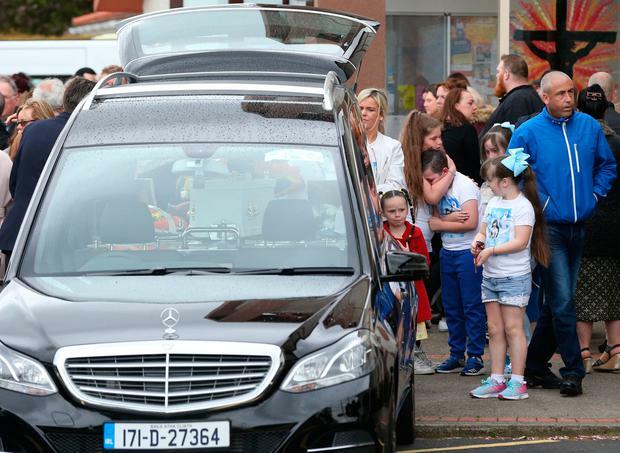 Mourners at the funeral of Michael Stokes (15) were, by turns, choked by sobs and convulsed by laughter as they gathered to remember the boy who died on Saturday after a tragic accident. Michael's mischievous personality captured the hearts of the nation when he appeared on 'Room to Improve' as architect Dermot Bannon redesigned the house of his foster parents, Ann Higgins and Barry McCabe, in Malahide, Co Dublin. Michael famously told Bannon to "go back to the drawing board" with his plans. Yesterday, Bannon joined hundreds of Michael's friends at the Church of the Sacred Heart in Malahide to support Ms Higgins and Mr McCabe, and Michael's birth parents, John Paul and Siobhan. 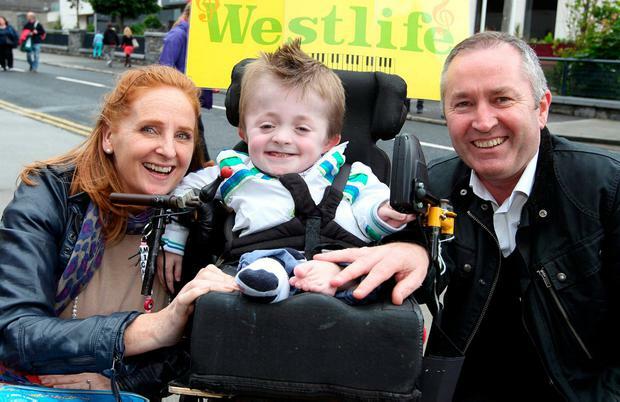 Parish priest Fr Martin Noone said while some may have thought the odds were stacked against Michael given his disability, osteogenesis imperfecta, the teenager was "tiny but tough". "There are people right around the country who would love to be part of this gathering because Michael... touched the whole country. "In some way or other, through the lens of a camera or a cheery smile, he touched our lives." 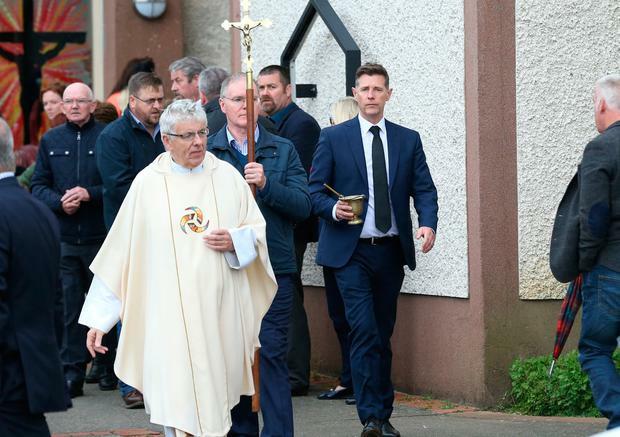 Paying tribute to Michael at the end of the Mass, Eimir McGrath, who knew Michael all his life and was an advocate for him, said when he was born "a tiny fragile baby", he was not expected to survive. However, "Michael the warrior came into being". "Inside this little body was a giant-sized heart and an enormous capacity to love us as his life unfolded." She also spoke of Michael's hilarious turn of phrase, a classic being "I'm sweating like a dolphin". She said he had typical teenage concerns, adding "his cool hair was very important to him". "He also might have had a kiss or two in the last few months," she revealed to laughter. Ms Higgins thanked the staff of Temple Street Children's Hospital for their care of him throughout his life, saying they saw his bravery in his final weeks.